Mr. Ricky Sim devoted 18 years of his career to the Singapore Civil Service since 1977, including 6 years working in Hong Kong and 3 years in Bangkok as a diplomat. 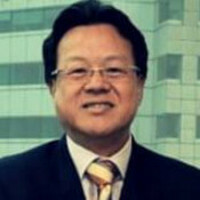 In 1994, he joined the Suntec Investment Group of Companies (SIPL) in Singapore. After retiring from the private sector in early 2013, Ricky has since found his own advisory and consulting company, and is currently the managing director of RS Advisory & Consulting. In addition, he started a real estate consultancy, SunChest Property Consultants, in June 2013 and is concurrently its Managing Director.